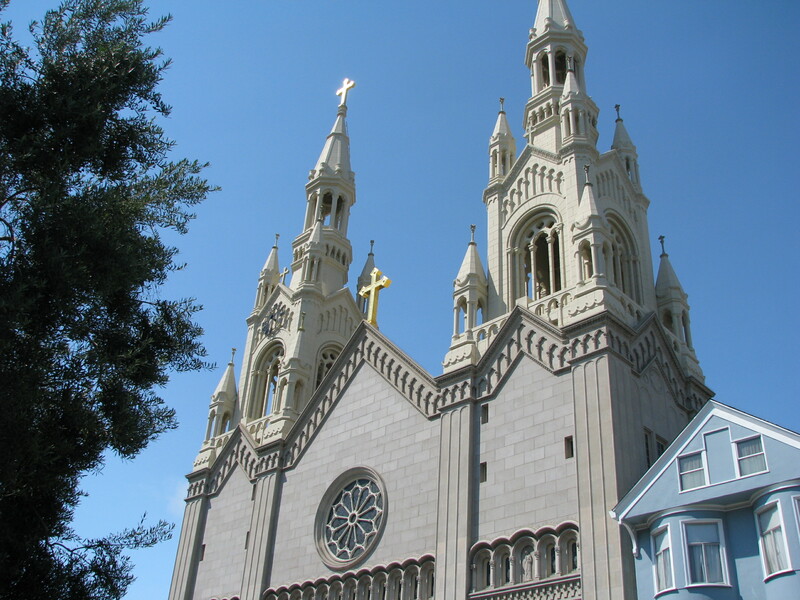 TheÂ Saints Peter and Paul Church, is a Roman Catholic Church at 666 Filbert Street. 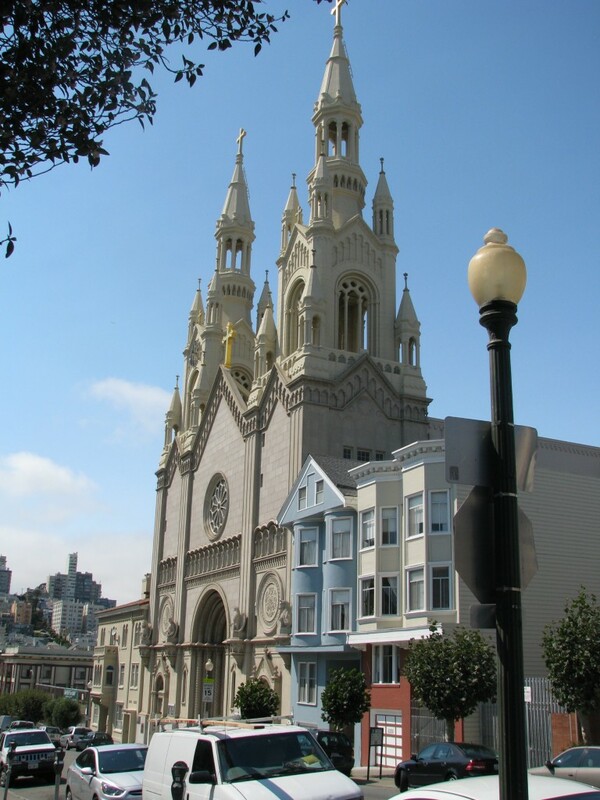 It is located in San Francisco’s North Beach neighborhood across from Washington Square. 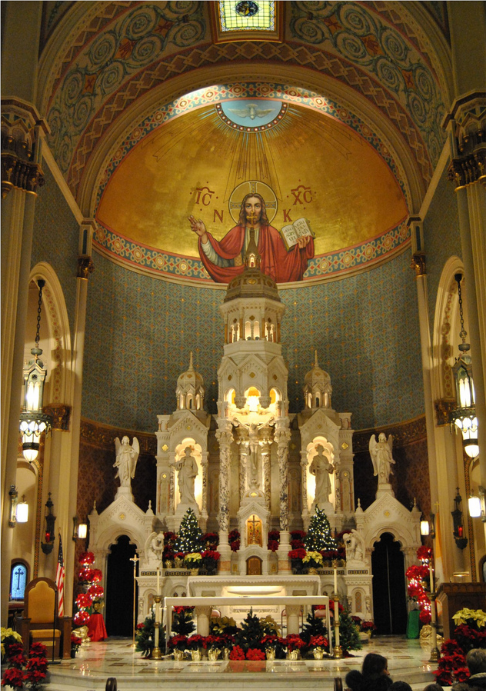 Completed in 1924, the church has Disneyesque stone white towers that are local landmarks. 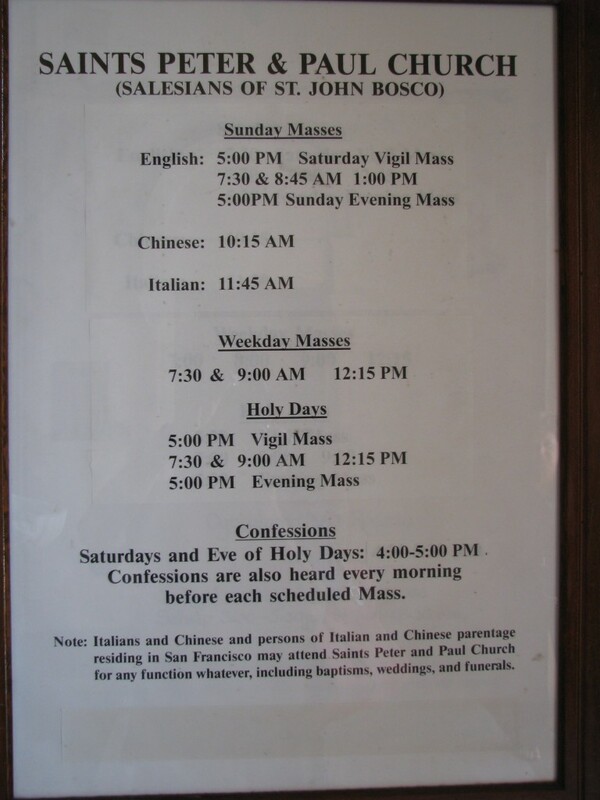 Mass reflects the neighborhood; it’s given in English, Italian and Chinese. 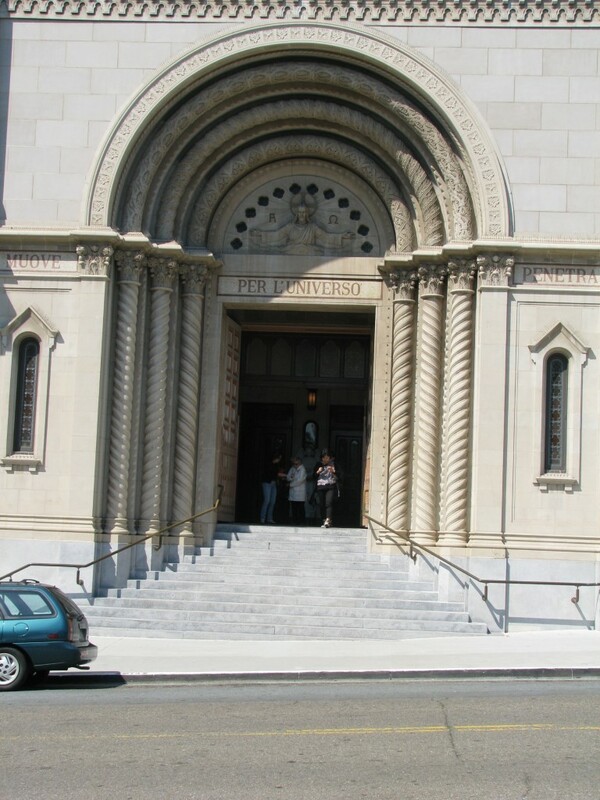 After their civil ceremony in 1954, Marilyn Monroe and Joe DiMaggio returned for photos on the steps of this church. DiMaggio was married to Dorothy Arnold in the church on November 19, 1939, but later civilly divorced. 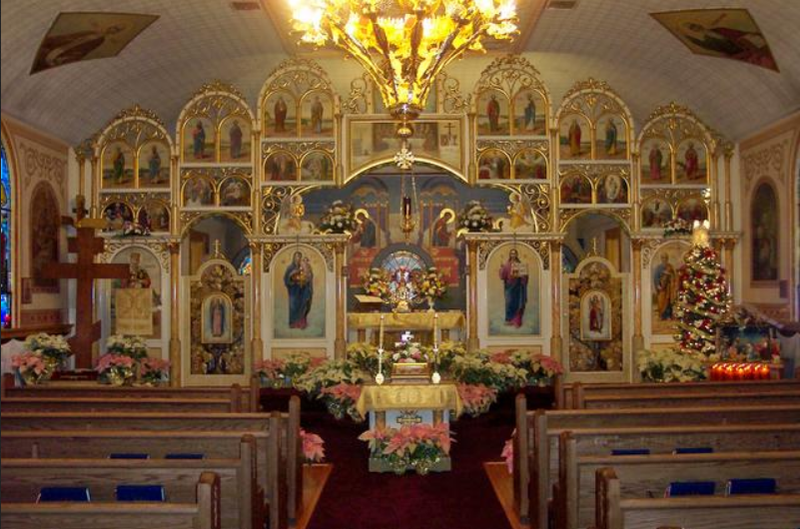 Still married, as far as the church was concerned (having not obtained an annulment), he could not be married in the Catholic church. 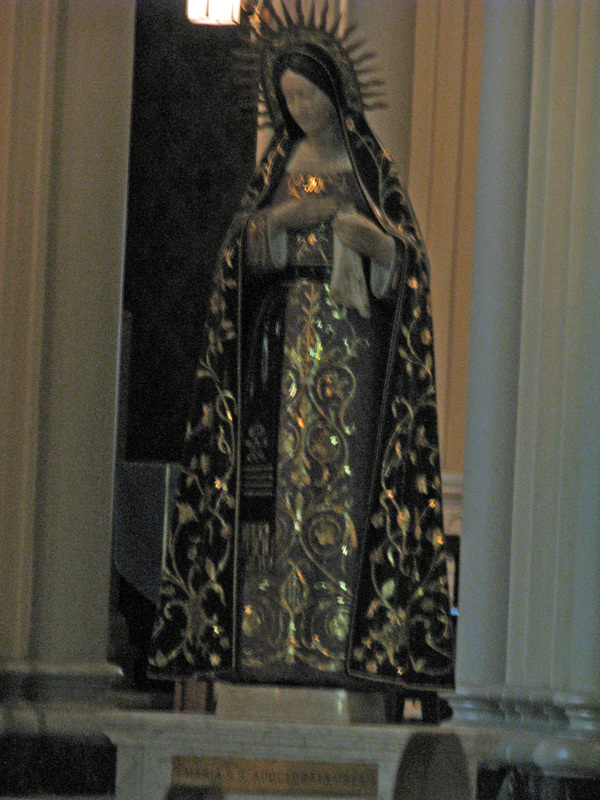 In a side entrance, Sts. Per and Paul Church still showcases a photo in a book displaying proudly DiMaggio’s marriage day photo, but with Arnold, not Monroe. 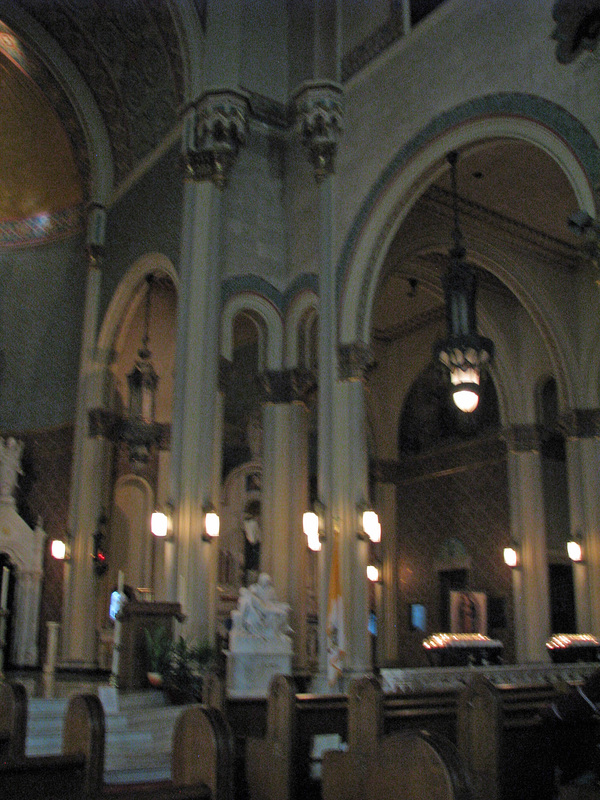 DiMaggio’s funeral was held here on March 11, 1999, officiated by lifelong family friend and confidant, Armand Oliveri.